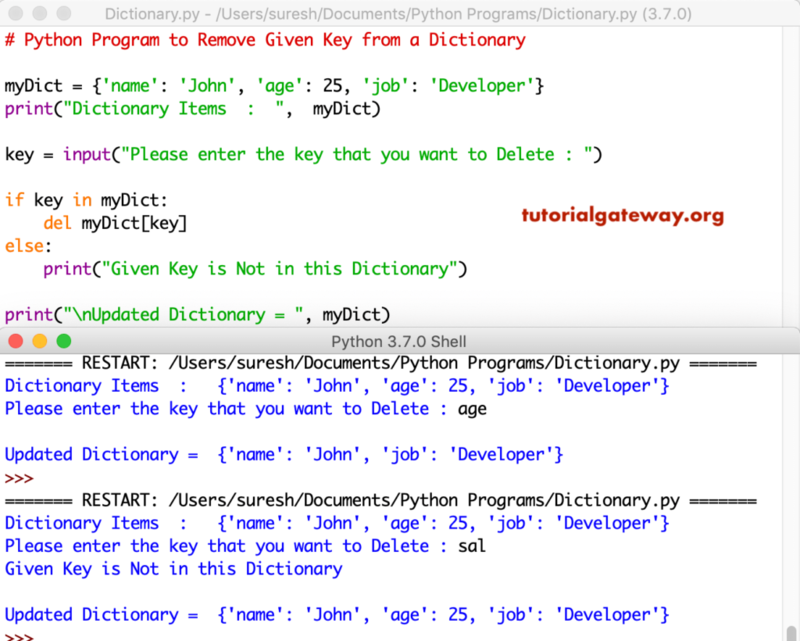 In this article, we will show you, How to write a Python Program to Remove Given Key from a Dictionary with practical example. In this python program we are using if statement to check whether the key exists in this dictionary or not. Inside the If, there is a del function to delete key-value from this dictionary. This program is another approach to delete Key Value from a dictionary. Here, we are using keys functions to find key inside a dictionary. In this program, we are using pop function to remove key from a dictionary.